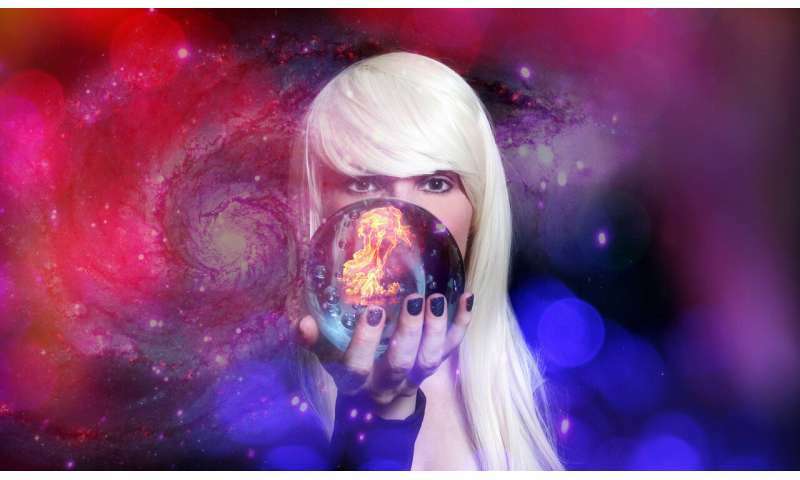 A recent report may help to shed some light on why people continue to believe in psychic powers. The study tested believers and sceptics with the same level of education and academic performance and found that people who believe in psychic powers think less analytically. This means that they tend to interpret the world from a subjective personal perspective and fail to consider information critically. Robinson claims to have foreseen terrorist attacks, disasters and celebrity deaths. His assertions derive from limited and questionable evidence. Tests conducted by Gary Schwartz at the University of Arizona provided support for Robinson’s ability, however, other researchers using similar methods failed to confirm Schwartz’s conclusion. And when scientists have endorsed psychic claims, criticism has typically followed. This occurred in the 1970s when physicists Russell Targ and Harold Puthoff published a paper in the prestigious journal Nature, which supported the notion that Uri Geller possessed genuine psychic ability. Psychologists, such as Ray Hyman refuted this – highlighting major methodological flaws. These included a hole in the laboratory wall that afforded views of drawings that Geller “psychically” reproduced. Another factor that facilitates belief in psychic ability is the existence of scientific research that provides positive findings. This reinforces believers’ views that claims are genuine and phenomenon real, but ignores that fact that published studies are often criticised and replication is necessary in order for general acceptance to occur. One prominent example of this was a paper produced by social psychologist Daryl Bem in the high-quality Journal of Personality and Social Psychology. It was said the research showed support for the existence of precognition (conscious cognitive awareness) and premonition (affective apprehension) of a future event. But other researchers failed to reproduce these results. So it seems that despite occurrences of fakery, forgery and fraudulence – as well as mixed evidence – people will still continue to believe in psychic phenomena. cIndeed, research has shown that one in three Americans feel they have experienced a psychic moment – and nearly half of US women claim they have felt the presence of a spirit.